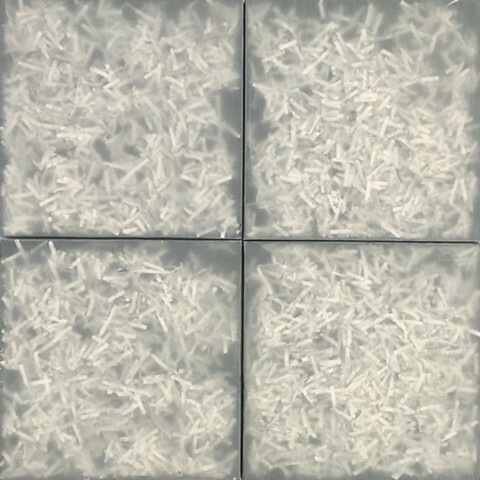 Diary (in 4 parts) is an artwork made with shredded pages of a diary compartmentalized in four panels. Each panel is covered with translucent paper that allows the viewer to see the texture of the strips of paper in a monochromatic palette of grays. As the viewer gets closer, they can discover how the image is built. The artwork can be seen as a simple composition that transforms the trash into a work of art, considered equal to any traditional art material.